In politics, business, and society, energy is a hot topic and critical issue. This probably isn’t going to change any time soon. On the forefront of this discussion is clean energy, and particularly, the rise of solar-powered technology. 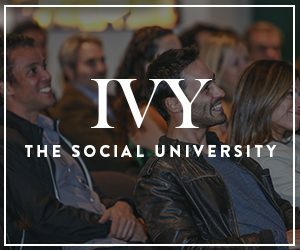 To get a better understanding of why this is the case and what that means for our world, we hosted an IVY Ideas Night on The Future of Solar Technology: How to Power the Planet Through Innovation. At the helm will be climate and energy expert Varun Sivaram (Council on Foreign Relations) in conversation with David Livingston (The Atlantic Council’s Global Energy Center). Varun and David offer their profound insights on the future of solar technology, the innovations that are powering our world, and the role America is playing in how we harness the sun for power. To learn more, grab a copy of Varun’s new book, Taming the Sun: Innovations to Harness Solar Energy and Power the Planet.